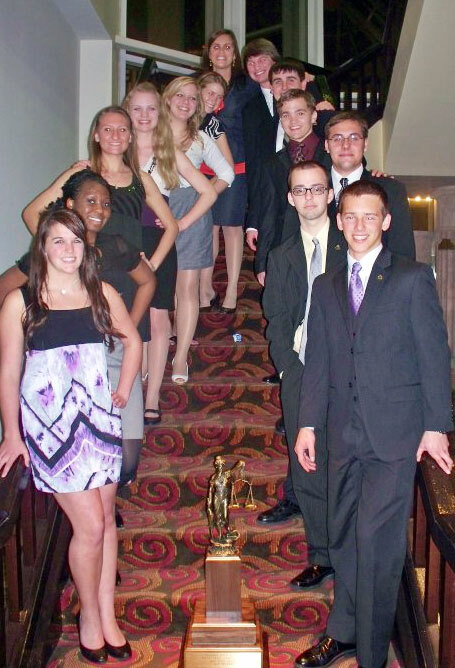 Tate High School’s Mock Trial Team won the state tournament this past weekend in Orlando. Members of the team are Collin Metcalf, Dylan Lunsford, Allison Baliey, Jacob Sander, Asia Cravens, Amy Sapp, Denis McKinnon III, Josh Levins, Austin Perry, Sarah Barlow, Ashley Fasshauer, and Brooke St. Pierre. Collin Metcalf also won the “Best Attorney” award at the competition. The group is coached by Amanda Brown. Former coach Kelly Krostag and Attorney Aaron Watson from The Levin Firm also worked with the group. The team is now eligible to compete in the National Tournament which will be held May 6-9 in Philadelphia. Pictured: (left of stairs, bottom to top) Brooke St. Pierre, Asia Cravens, Ashley Fasshauer, Amy Sapp, Sarah Barlow, Allison Bailey, coach Amanda Brown, (bottom of stairs, bottom to top) Dylan Lunsford, Austin Perry, Jacob Sander, Josh Levins, Collin Metcalf, Denis McKinnon III. 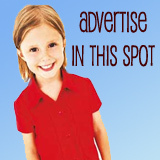 Submitted photo for NorthEscambia.com, click to enlarge. congrats you guys! i know yall worked hard even with a brand new coach who didn’t know what she was doing! i hope yall can raise the money in time. i’ll donate some! i hope other people will too. Awesome Job! Mrs. Brown has worked so hard preparing this team this year! You deserve it girl! Congrats! Yay! What a great accomplishment for this team.